The Clever Lite 4 wheeled walking frame is a well specified wheeled walker from the Drive range. 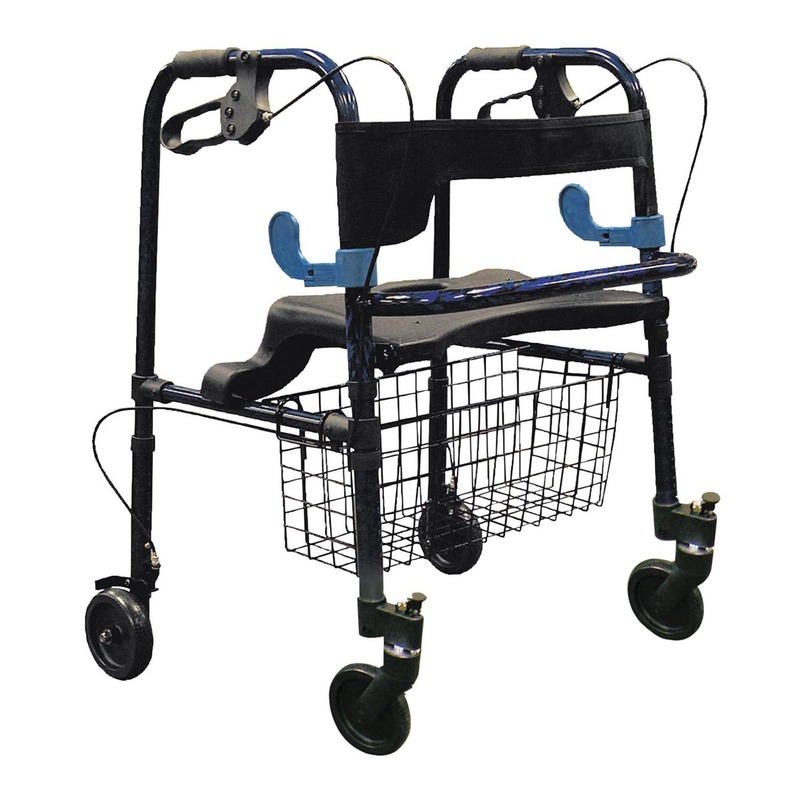 The features of this walker include; front wheels that can be fixed or swivel, easy to operate loop brake levers, a flip up seat incorpoating a carrying handle for when the walker is folded, and a shaped seat with a comfortable backrest for when you need to take the weight off your feet. It is height adjustable between 31 inches to 36 inches. Special loop lock brake made of internal aluminium casting operates easily and ensures safety. Sturdy 1” diameter anodised, extruded, aluminium construction.